Wavin is a leading supplier of plastic pipe systems and solutions. 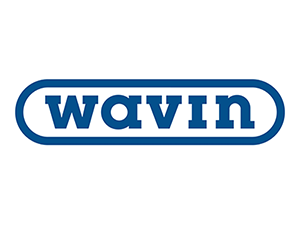 As one of the longest established names in the market, Wavin built its reputation on over 60 years of high quality and innovation. Wavin connects customers to better solutions for above and below ground projects in the following application areas: water management, heating and cooling, water and gas distribution, waste water drainage and datacom. Wavin headquarters are located in Zwolle, the Netherlands and has presence in more than 25 countries and about 30 manufacturing sites, mostly located in Europe. Wavin employs approximately 5000 people. www.wavin.com. Wavin is a subsidiary of Mexichem: a global leader in plastic piping and one of the world’s largest chemical and petrochemical companies. Mexichem contributes through the Fluor, Vinyl and Fluent Business Groups to global development by delivering an extended portfolio of products to high growth sectors such as infrastructure, housing, datacom and water management, among others. Wavin is part of Mexichem’s Fluent Business Group, one of the biggest producers of plastic pipes and connections worldwide. www.mexichem.com. Wavin provides a unique one stop shopping concept for Euro-Mat and her customers covering all possible plastic pipe systems used in and around the building. Clean supply of drinking water is essential, for residential and non-residential applications. Wavin provides all that is needed to secure a complete and safe drinking water supply system. In this market the substitution of traditional materials towards plastics is a continuous trend. Wavin offers various hot & cold water supply systems for inside buildings, each system having its own jointing technique: press-fit, fusion welding and push-fit. On an infrastructural level, the supply of drinking water can be laid out with Wavin’s PE and PVC pressure pipe systems. Wavin is expert in the total system of waste and foul water discharge. Inside buildings, the focus is on the discharge of soil and waste water from kitchens and bathrooms to sewer collection systems. Wavin solutions include a low-noise soil & waste system, especially suitable in hotels, hospitals and multi-family apartments. Outside, foul and storm water needs to be collected and transported to water purification plants. The Wavin sewer solutions include various (pressure and non-pressure) pipes and fittings systems completed with gullies, inspection chambers and manholes. Climate changes forces us to rethink our attitude towards rain and storm water. Rainwater can be too scarce or, in other situations, too plentiful. So, if we want to avoid undesirable extremes, rainwater is a resource that needs to be constantly managed. Wavin’s storm water management systems are used to catch, transport, clean, infiltrate and/or re-use rain and storm water. The system includes a siphonic roof drainage system, sewer pipes and inspection chambers, road gullies, channel drains and infiltration units.